Brian's attempt at trying to stay young. 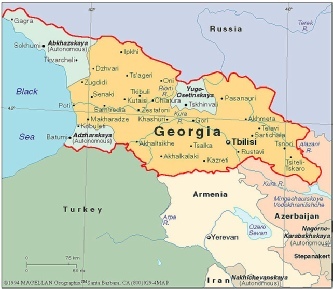 We found cheap flights and heard that it was a cool city, so why not? 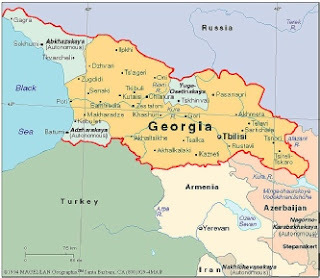 We left early Thursday June 25 for a 3 day weekend in Tiblisi, Georgia. After a 3 hr 30 min flight out of Dubai, we landed and checked into our hotel. We threw our bags down and turned right around to start exploring the city. This City is amazing! Great food, beer, and wine, friendly people, a vibrant art scene, affordable, and super cute. We've had some amazing weekends this year, but this was one for the record books. Everyone always asks about our pets, so we're dedicating an entire post to them. Here they are. Brian participated in another Porsche sponsored driving experience on the Yas Marina F1 Circuit on May 15 and graduated out of the Novice category and into the Club category. The big difference between Novice and Club categories is the maximum permitted speeds and since they increase quite significantly between the two categories, helmets are mandatory at the Club level. He's pretty well kitted out with his Racelogic in-car video cameras and computer, but we think he might need a cooler helmet (and possibly a newer Porsche) before the next race. In preparation of the race, Brian gave the Porsche a little face lift by having all the silver colored body panels and wheels repainted in a darker metallic gray. Here's its triumphant debut. We needed to have some fun and being a little travelled out, we decided a weekend in Dubai might fit the bill. We don't head up the road to Dubai very often, even though it's just an hours drive away, but on this occasion, we went beyond the obvious attractions and scoured the city for the hidden gems. Brian spent 3 days on a Dhow boat scuba diving and taking his Advanced Open Water Diver exams in Musandam, Oman back in May. He's now certified to dive to depths of 30 meters (100 feet). 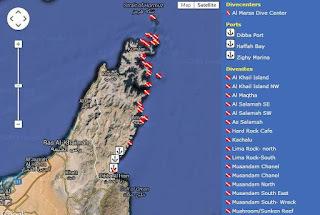 He booked the trip through Al Marsa out of Dibba, Oman and found them to be a really great dive company. The trip began with a 3 hour drive from Abu Dhabi to Dibba on a Thursday night. 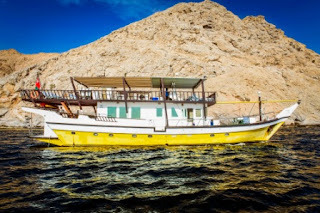 Once everyone was on board the boat and settled into their bunks, the boat left port and started heading north towards the Strait of Hormuz. 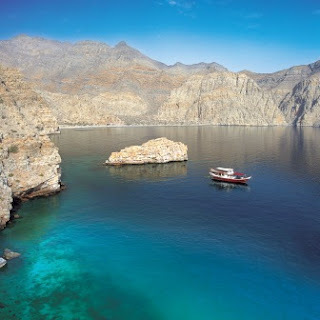 By morning, they were in Musandam at the first dive site and in the water by 7 AM. 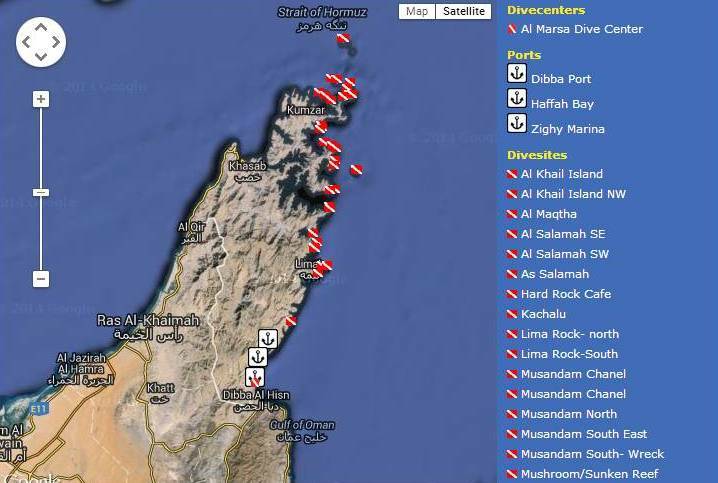 The first day consisted of 4 dives, with the final dive of the day being a night dive. Saturday and Sunday consisted of 6 more dives, with plenty of time in between for swimming and socializing on board. Apparently it was good fun because he's already booked another dive trip in October, but plans to have a proper underwater camera next time to capture all the wondrous aquatic life.